An bhliain seo caite d’oibrigh an coiste le linn na bliana chun an Ghaelbhratach a bhaint amach. Rinne siad taighde agus d’eagraigh siad imeachtaí ar nós Family Fortunes, céilithe, Gaeilge 24 agus araile chun labhairt na Gaeilge a spreagadh i measc na scoláirí ar fad. 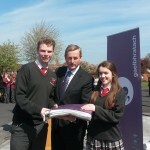 Bhronn an Taoiseach an Ghaelbhratach ar bheirt bhall. 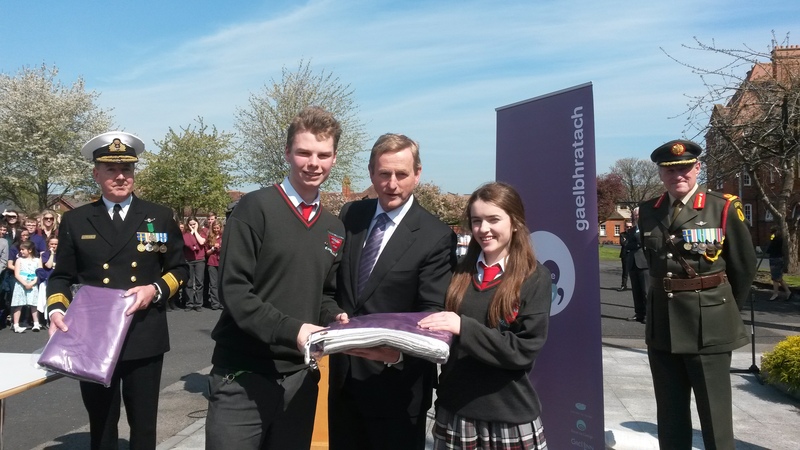 Beidh an tAire Gaeltachta Joe McHugh ag teacht ar an Déardaoin chun an bhratach a ardú sa scoil.